As one of our longest represented artists, John Haskins has held sell-out exhibitions with Forest Gallery and it’s easy to see why. There is a naturalness to John’s paintings which really captures the imagination. 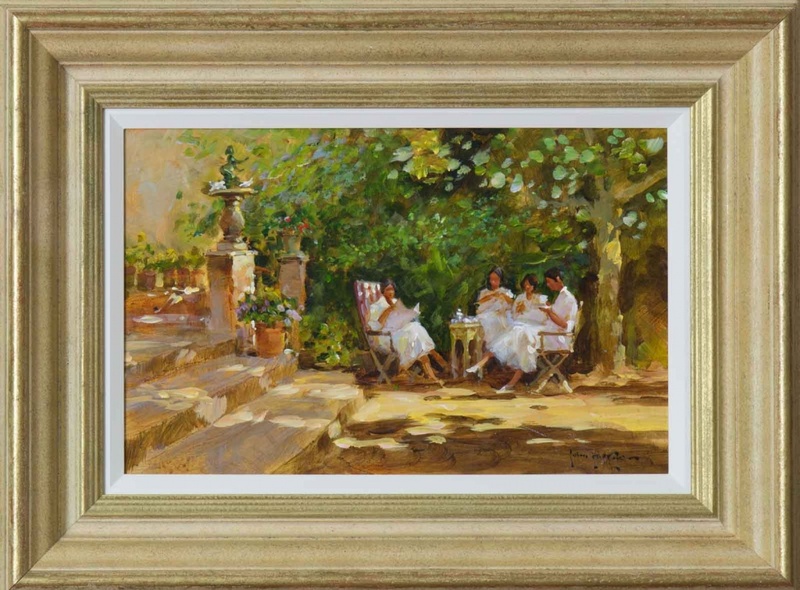 Whether it be a day out at the beach or the bustling marketplace at a favourite holiday destination, his paintings often bring happy memories. But it’s John’s versatility as an artist that is so astonishing. 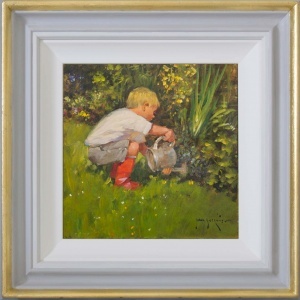 John paints countryside and sporting scenes such as cricket and polo as well as delicate portraits of children at play and even still life paintings. John Haskins was born and educated in London, a city which often features in his paintings. There he gained a distinction in his City and Guilds Diploma in Illustration at art school and enjoyed a successful first career as a Chief Technical Illustrator. Not content painting part-time, John eventually decided to pursue his current career full-time having successfully exhibited in London with his early paintings. This decision enabled him to combine his passion for travelling with the opportunity to paint and collect material from around the world, as well as stage successful one-man shows and exhibitions in international locations such as Australia, Hawaii, Los Angeles, Madrid, New York and Paris. His travels can be seen in so many of his paintings, from Venice and Italy to the Greek islands and Spain. Currently living and working from his home studio in the Bedfordshire countryside, John is married with two daughters – who frequently appear as subjects of his paintings. 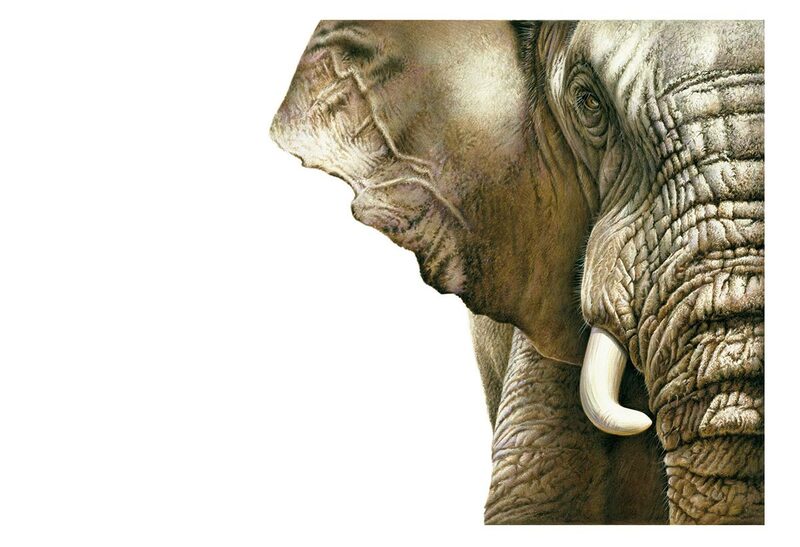 John Haskins prints have been reproduced not only in their usual form but his images have also been licensed for publication on magazine front covers, book illustrations and greeting cards. 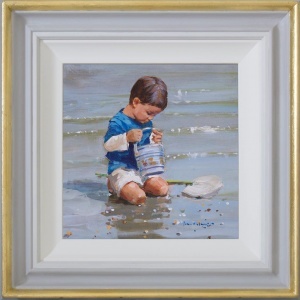 John’s nostalgic oil paintings and versatile style often mean he is the favourite to paint commissions for our clients. Commissioning a painting is a simpler process than you might think (and doesn’t usually mean the painting is more expensive). An example of a recent commission ‘Snow on the Bridleway’ is shown below. If you would like to find out more about commissions please get in touch with us. We usually have a large selection of paintings available in stock and for sale. If you can’t find what you are looking for we have records of previously sold John Haskins paintings and would be happy to help you organise a commission. 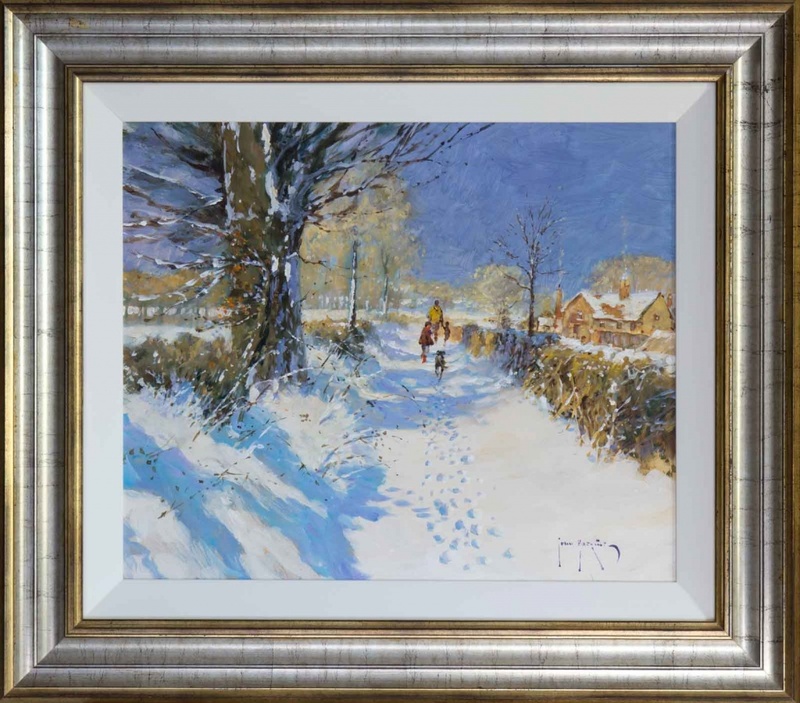 All paintings can be bought framed or unframed and it may also be possible to change a frame on a current painting for another option. 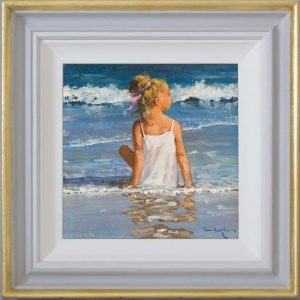 Browse the current collection of John Haskins original paintings for sale by visiting his artist page and clicking below.